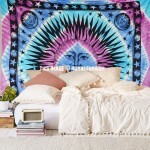 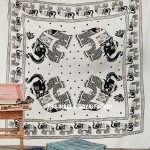 Transform a bare wall with fast and easy elephant tapestry wall hangings and add instant interest and style to your walls. 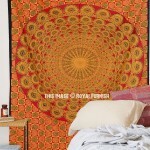 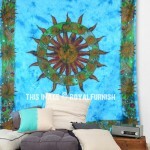 With rich colors and round circle elephants medallion circle design, our elephant tapestries are an affordable way to update your wall art with eye catching style. 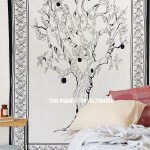 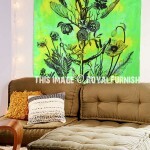 Simply hanging a bright elephant tapestry adds an instant pop and it is far less faffy than painting. 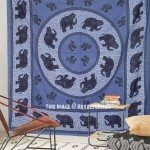 Elephant tapestries bring a lovely textured effect to your walls. 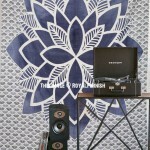 Our selection includes more designs to complete every style. 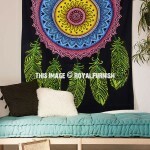 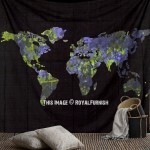 Our tapestries are not just for hanging on wall but also best for bed cover, drapes curtain, table cover and couch with throw pilows etc.